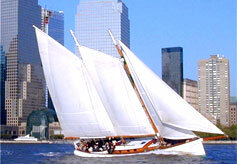 If you love sailing, then these 2 ships are a must do in New York. They’re the Clipper City and the Schooner Adirondack. 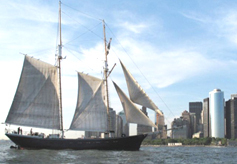 Both are massive sailing ships which offer spectacular views of the famous Manhattan skyline as it was meant to be seen, from the water – plus spectacular views of Ellis Island, the Statue of Liberty and the Brooklyn Bridge. Gray Line New York, New York City’s premier double-decker bus and motorcoach tourism company, honored the Hollywood icon and native New Yorker, Whoopi Goldberg, as a “Ride of Fame” dedicatee. 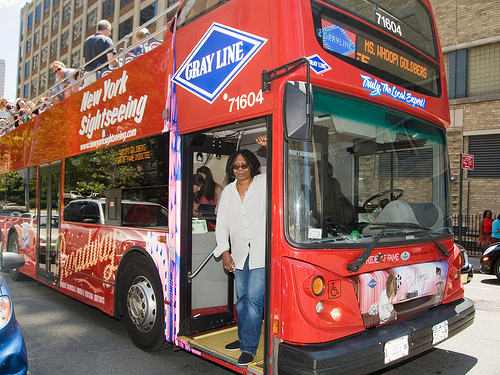 A ribbon-cutting ceremony where Goldberg unveiled her own Gray Line New York double-decker bus decal with her likeness on the front of the vehicle will took place at 320 W. 66th Street (at Freedom Place) on Monday, July 26, 2010. Congrats to Whoopi! 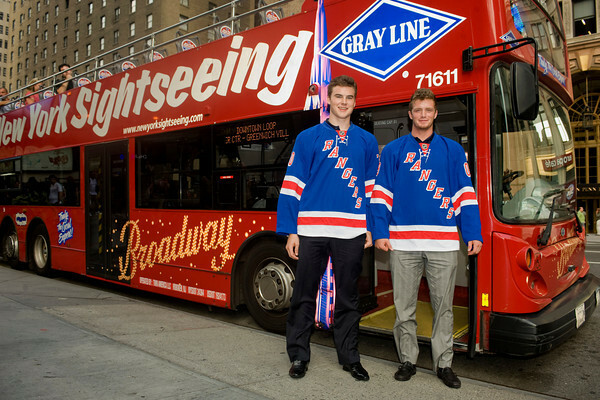 5 lucky Ranger fans and their guests got to ride with first round draft pick Dylan McIlrathin and welcome the Manitoba native to NYC. WOOT! Congrats to the winners and welcome to NYC Dylan! The heroes of the World Trade Center; explore the history of the World Trade Center and glimpse its future development on this 2 hour tour. The Alexander Hamilton financial district tour, explores New York City from its founding as a Dutch settlement to its rise as the world’s financial capital.